No garden is complete without some garden ornamentation. Bird baths attract birds which in turn help to control insect pests in the garden. Obelisks add elevation making an otherwise flat landscape more exciting. A beautifully shaped ceramic urn, even if it is not planted, makes an interesting statement in a perennial border. Wind Chimes contribute sound and movement to the garden and Statuary adds a personal touch making the garden a reflection of your own taste. 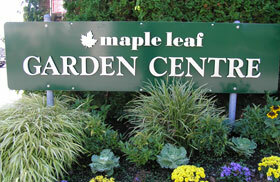 Maple Leaf Garden Centres carry a full selection of garden accents to suit every aspect of your garden.